The number of new magazine launches in the first quarter of 2008 witnessed an increase of five titles compared to those introduced in 2007. A total of 150 new magazines were introduced to the American magazine scene in the first quarter of 2008. This is an increase of five from 2007, but still a far cry from the introduction of 192 new magazines in the same time period of 2006. However the number of titles published four times or more in the first quarter of this year has dropped by nine. Only 41 magazines were launched with the intention to be published at least four times a year compared with 50 in 2007, and 72 in 2006. So what does this mixed bag of numbers mean? Not much. Since I have started tracking new magazine launches, I have witnessed a two or three years’ declines after a very healthy and busy year. 2005 was a very healthy year. 1013 new magazines were launched. The decline started in 2006. We are in our third year of decline. In 2006 we have seen 901 new launches, the number dropped to 715 last year, and if the trend of the previous years continues, we will see another drop again this year before the numbers bounce back. 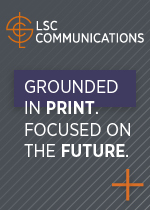 Call it market correction if you please, but definitely it is NOT a sign that print is on its way out. History will tell us otherwise. So enjoy this quarter’s crop and look forward to more titles to come next month. 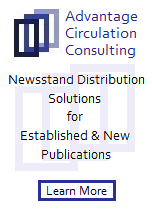 Click here to see images of all magazines launched so far in 2008. 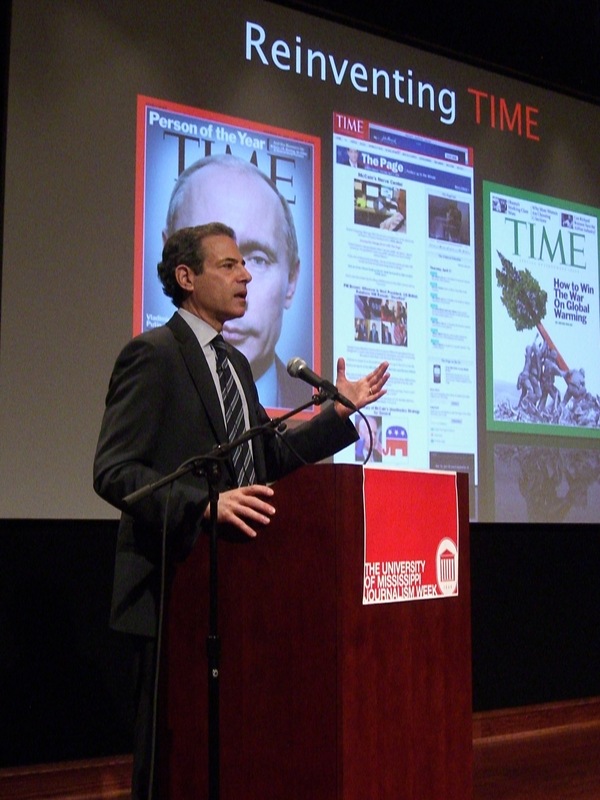 TIME’s managing editor Richard Stengel delivered one of the most thought-provoking, eye-opening lectures to an overflowing lecture hall, with standing-room only audience, at the department of journalism at The University of Mississippi. The entire April 21st lecture can be watched here. I know it is more than an hour-long with questions and answers at the end, but I promise you, you want to watch the entire speech. If you are looking for answers to the many questions regarding the future of journalism and the weeklies, Stengel gives you answers. Richard Stengel changed the covers of TIME magazine from questions to answers with an assertive point of view. It you want answers to your questions, then give yourself an hour and sit down, relax and watch Richard Stengel answer the questions that each and everyone of us are asking: What the future of journalism? Click here to watch the entire speech. Would love to hear your comments on Richard Stengel’s lecture. 1. There is no difference in working for a web-site or in working for a newspaper. What people did at the newspaper in the 60s they are still doing now but on the web-site. 2. Stop using the term convergence. It is more of an advertising term or business term and not journalism. Convergence has nothing to do with what we should be doing as journalists and writers. 3. The same fundamental stuff in journalism has not changed. Ask smart questions and find interesting people to ask the questions to. 4. Learn how to write, learn how to report…everything else will be OK.
5. Don’t immerse yourself with the doom and gloom of the industry. Even during the depression there were people who were still traveling and spending time in Europe and other places. The industry is still hiring good folks. 6. Remember the art of storytelling. Learn the skills and try to be a story teller. Every story must have a character, a plot, an outline from the very beginning. 7. The best stories are about Hope and Fear. 8. The 24-hour cable news is nothing but a video blog. 9. In ESPN we do journalism first and then we figure which is the best platform. 10. The internet has created more accountability and more integrity. You can’t get away with things today like you used to be able to do 20 or 30 years ago. The entire talk of Wright Thompson will soon be uploaded on the department of journalism MCast video service soon. 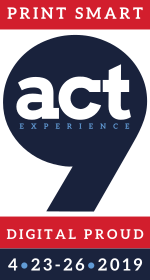 To check all other talks and presentations on MCast please click here. “Curate more and create less,” is the new mantra for the 21st century journalist, Richard Stengel TIME‘s managing editor told a standing room only crowd as he delivered the keynote address for the Third Annual Memorial Stuart Bullion Lecture in Journalism at The University of Mississippi. In a speech entitled “Reinventing Time” Stengel told students, faculty and the public attending the lecture, that journalists must focus more on the WHY rather than the WHAT and WHEN. Journalists must be moderators of information utilizing all the new technological tools and must not be afraid of voicing their opinion when they are the experts and authority on the subject matter at hand. He went on to say, if someone else is a better authority on a specific subject matter, you should not be afraid of sending them to that someone else. Click here for preview from the Qs and As with Richard Stengel after his lecture. I will be posting his entire lecture and the Qs and As on the Department of Journalism website and on the Mr. Magazine website this coming Thursday. I truly believe what Richard Stengel is doing at TIME and TIME.Com today is indeed building on the DNA that Henry Luce and Briton Hadden founded in 1923. Theirs was TIME for the 20th Century, Richard Stengel’s is TIME for the 21st Century. His energetic speech today was the talk of the students and faculty after he left. “Powerful, visionary and on the mark,” are but a few comments I have heard from students and faculty after the speech. He has his fingers right on the pulse of our industry and those with ears to listen better do so. I agree wholeheartedly and I can’t wait for my tech folks to finish the video processing in order to share the entire lecture and the questions and answers with y’all so you can judge for yourself. How do I see the future of journalism, well, I have to agree with Richard Stengel, “the cup is indeed half full.” Let us work on filling it up! 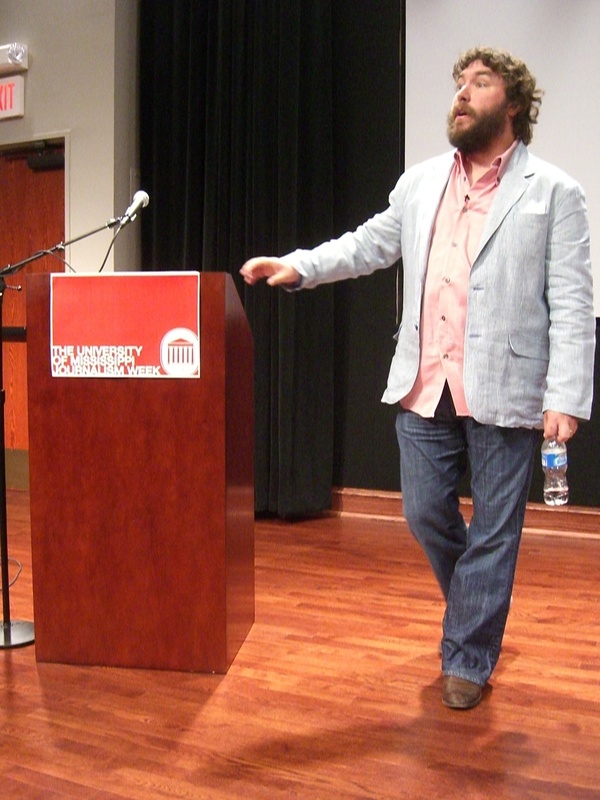 To read the report from The Daily Mississippian about Stengel’s visit please click here. 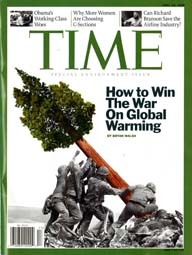 This week, and for the second time in its 85-year history, TIME magazine leaves the red border behind in favor of the green border to celebrate Earth Day and the war on global warming. 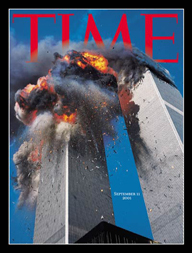 The only other time TIME left the red border behind was when it issued a special edition after Sept. 11, 2001. TIME took a page from its departed sister LIFE which did the same during its long history with the white LIFE in a red box. LIFE changed the red color twice in its lifetime: the issue after the assassination of president John F. Kennedy (Nov. 29, 1963) when black replaced red, and on Earth Day (May 1990) when green replaced red. By the way, TIME managing editor will deliver the third annual Stuart Bullion Memorial Lecture at the campus of The University of Mississippi on Monday April 21 at 9:00 a.m. His topic: Reinventing TIME. Click here for more details. Sole Collector magazine is celebrating the release of Michael Jordan’s collector’s edition sneakers number 23 by producing two covers, one limited edition sold at Foot Locker shoe stores and the other for national distribution. 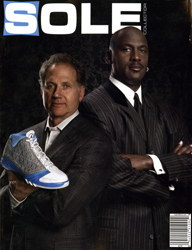 The issue sold at the shoe store showcases Jordan and the maker of the shoe Mark Smith on the cover, while the newsstand’s edition showcases Jordan alone. 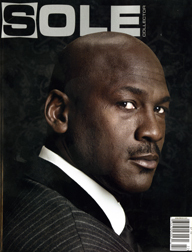 Both magazines are a testament to the power of the name Michael Jordan and niche magazines at the same time. For more info on the magazine click here. What caught my attention is that those three people embodied for me the true passion found in individuals and the way they interact with the products they create. It is what I call the passion of publishing formula: you dream it, you launch it, you love it and you buy it. Haymarket Media Group may have lost Eye, but the aforementioned trio together with thousands of graphic designers around the world gained a highly prized magazine that will continue to land on their door steps once every quarter. Best of luck and keep up the great work. I will continue to keep an eye on Eye! You are currently browsing the Mr. Magazine blog archives for April, 2008.